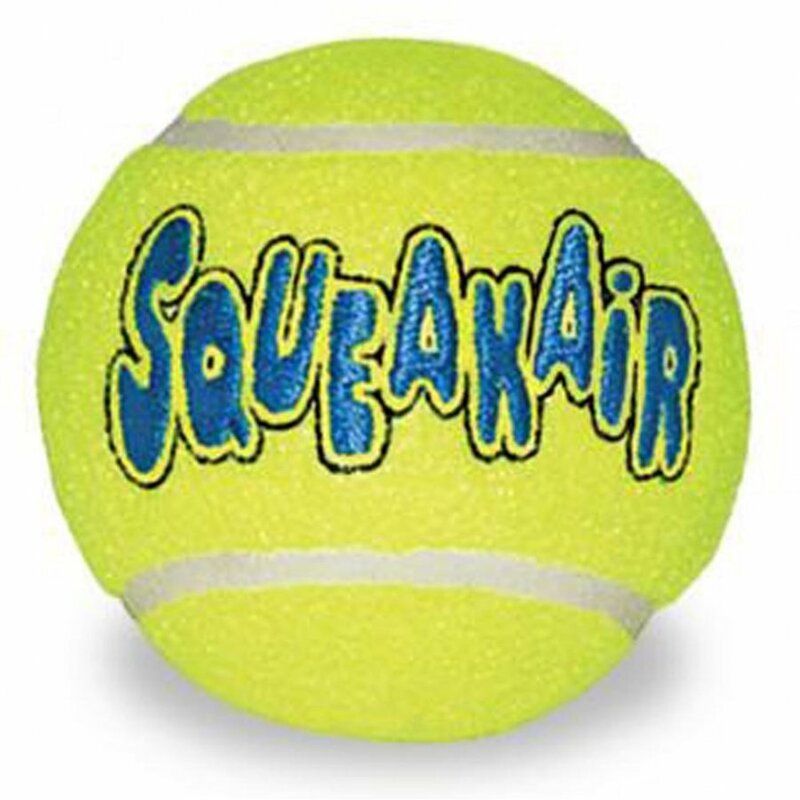 The Squeaker Tennis Balls for Dogs by Air Kong are made of high quality tennis ball material that won't hurt teeth or gums. Available in medium or large and includes a squeaker inside that makes noise when ball is squeezed. Perfect for outdoor fun! Squeaker Tennis Balls for Dogs has different options and/or variations, please choose below. The Squeaker Tennis Balls for Dogs by Kong are made of high quality tennis ball material that won't hurt teeth or gums. Available in medium or large and includes a squeaker inside that makes noise when ball is squeezed. Perfect for outdoor fun! Not recommended for prolonged water usage. Md squeaker tennis ball used as bulk or to refill ast102 ball dispenser. 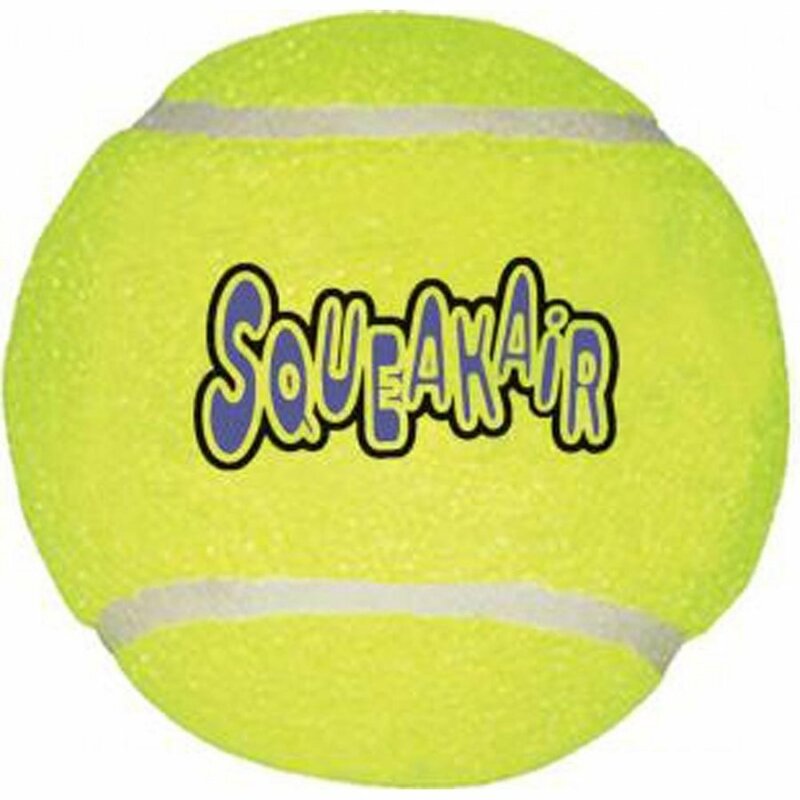 Large squeaker tennis ball used as bulk or to refill ast101 ball dispenser.